Maintaining the ability to do proper keyword research is one of the most important skills you should have if you are seriously considering making money from the internet. Yes, it is 100% possible to get traffic and make money without using social networks, search engine traffic (organic) and paid traffic or by running PPC campaigns. However, even if you don’t count search engine traffic as a main traffic source, you still need to know what people are looking for in your niche. When I say proper keyword research, I mean that you find terms which are getting a good number of monthly searches and beatable competition. In this post I will explain how to conduct keyword research step by step, how to find low-competition keywords and how to search for terms that will attract your target audience. 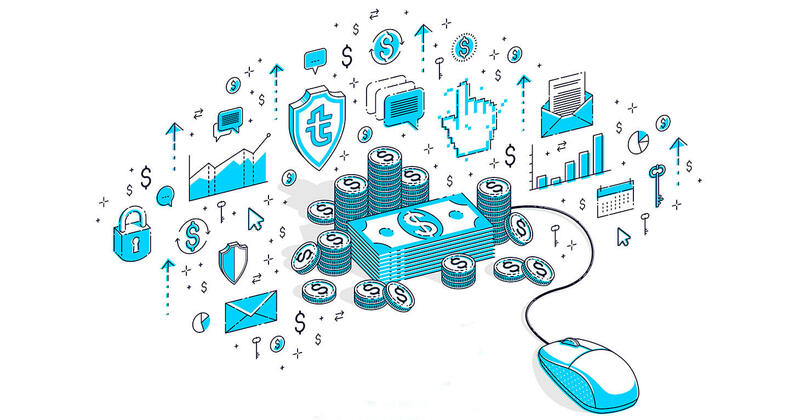 Apart from getting the right keywords, it is very important to pick a profitable niche, something popular and profitable, to earn via travel affiliate programs. It is better to choose a niche popular among independent travelers, as more hotels, tickets and other services are booked online. Travel niches are unstable and picking the right one to target can be very important. With the current world situation, the travel market faces a lot of changes; some destinations have become more popular than ever, while top destinations are having a rough time. Think about where you would like to travel; read major travel sites to get an overall idea. Let’s assume I am searching for a summer destination to target. Using common sense, we know that places like Tunis, Egypt and Turkey, as well as other Middle Eastern and Mediterranean countries, received much fewer tourists in 2016, so let’s think about alternatives. There are plenty of destinations to target in the summer time. For this year, I would go with European countries where you can travel with fewer expenses: Spain, Greece, Croatia, Montenegro, Bulgaria and Italy. As an example, I will take Greece. It should be a very good destination to target: nice beaches, all-inclusive resorts, suites for family vacations, islands and a long history. Greece has always been a popular travel spot but I am sure it will rock the current year. Before you get excited about finding a gold mine, always double check, as you may be wrong. Nowadays all tools to do so are provided for free. First we can try Greece Holidays, Greece Vacation. You can visit google flights to choose a departure city. It depends on which audience you target (language, countries). If your blog is in English, you will want to check the biggest cities in the UK and US. We are targeting Greece, so let’s pick a random date in May, June and July, with the departure city London, UK and the arrival city Rhodes, Greece. I can see that there are much more flights during the summer time (season) than, say, in April or at the end of October. Visit popular hotel booking sites and check recently booked hotels in chosen destinations. Check if there are many hotels that have been booked during the last 24 hours. If you see a good number of bookings, you are probably on the right track. Let’s assume you have already found a niche you want to target. For the first part of keyword research, you need three very simple tools: a pen, your brain and a white list. Get away from your computer, get some coffee and list all the terms which you think people may search to find your targeted niche. Let’s take Greece as our targeted destination. By the way, a travel blog doesn’t necessarily have to be about a certain destination; it can be about a way of travel, extreme sports, travel advice, traveling on a budget or travel planning. As I mentioned above, I took Greece as an example. To have better conversions from travel affiliate programs, I want to target people who are just planning their vacations. Keep in mind that when you choose a niche, you better have either some knowledge about it, plenty of time to do deep research, or a large amount of money to hire professionals. My point is that you should not focus on too-specialized sites unless this is your field of knowledge. Otherwise, be ready to have a hard time writing articles. After you have a list with common-sense terms, you can enter them into Google Keyword Planner and get the search volume and new keyword ideas. Google will give you some metrics like “Avg. 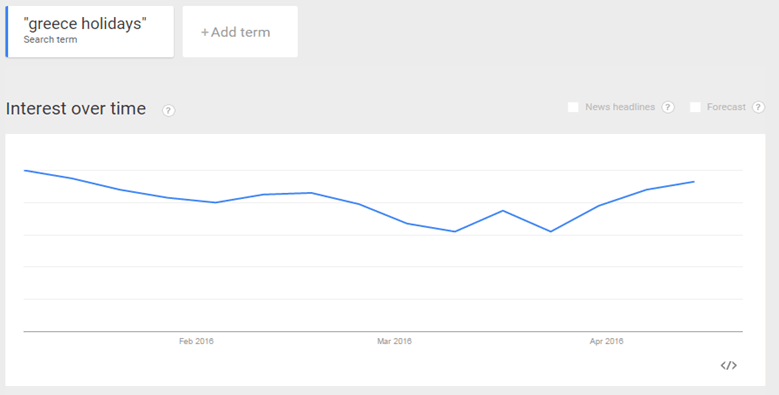 monthly searches”, which refers to the number of searches a particular keyword got per month. Next in line in terms of metrics is “competition”. This is the number of advertisers who showed on each keyword. Typically, difficulty is ranked on a low, medium and high scale. 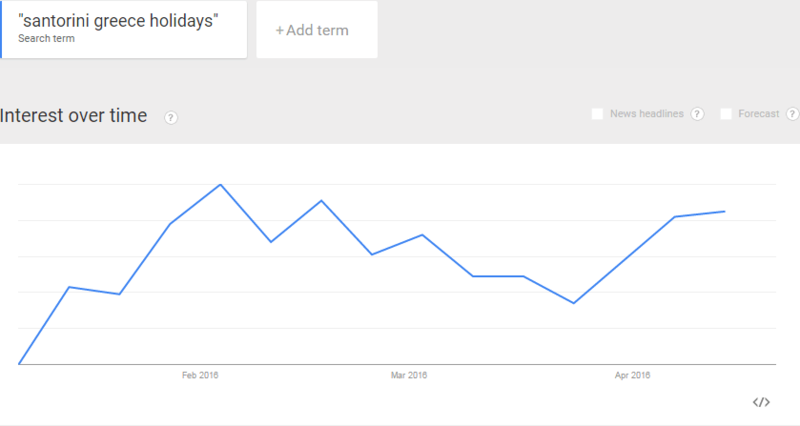 Keep in mind that this is not search engine competition, it is Goolge Ads metrics. To get search competition you must follow the steps below, but if many advertisers are targeting keywords, normally it means that it converts quite well. First, I would say that you will need a lot of time to run competition research for a big list of keywords manually. When you understand metrics and how SERPs (Search Engine Results Pages) works, you better use some software. I am using SEMRush and Keysearch for keyword research. 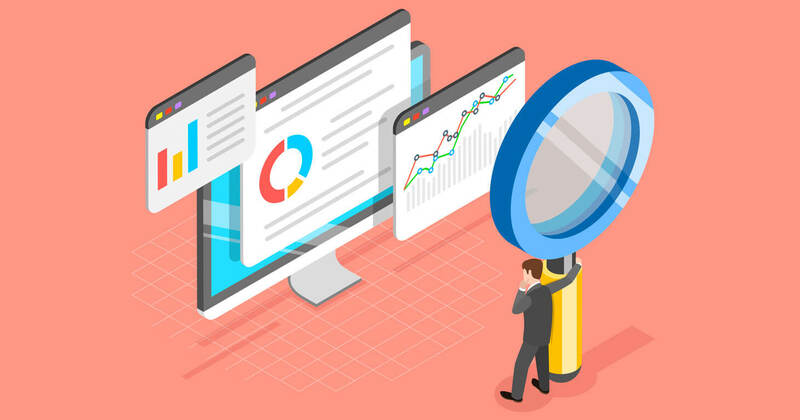 Following are important metrics you should consider when conducting keyword research manually or using automated software. If the query is present in all three search engine result elements, my early conclusion is that this website will be tougher to outrank. However, if the query is not present in one of these elements (especially the title), I encourage myself and will give it a go. 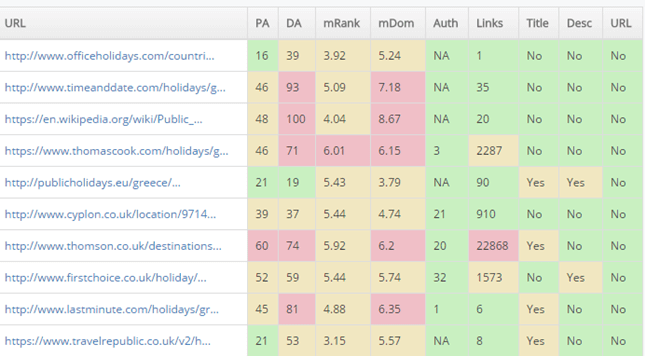 Within the travel niche, it is very normal to see authority sites within the top 10; it is hard to compete against them, but you can target long-tail keywords. Also keep in mind that when someone looks for information, he or she will likely skip those sites. Check top competitors for backlink profiles, especially the top five to 10 links. Using AHREFS and MOZ you can check Domain Authority (DA) metrics. If the top five backlinks are low-quality and DA is below 25, I know I’ll be able to bypass this website even before I show everything I have. There’s an exception to this, however — when hidden PBN links are pointing to a site. This means you can quickly discover whom all your competitors are, and which keywords they are using to advertise. This will quickly provide you with a list of extremely profitable keywords which have been proven to result in sales and the exact advertising text to which the customers responded! There are also other useful online tools I use, such as this keyword density tool checker. I often check the keyword density of the top 10 sites on Google so I can find the perfect one for my article. Normally, to find more keywords I use Google terms I wrote on a piece of paper during the first step. I read articles and take notes. If we talk about Greece, there are several travel spots worth targeting. 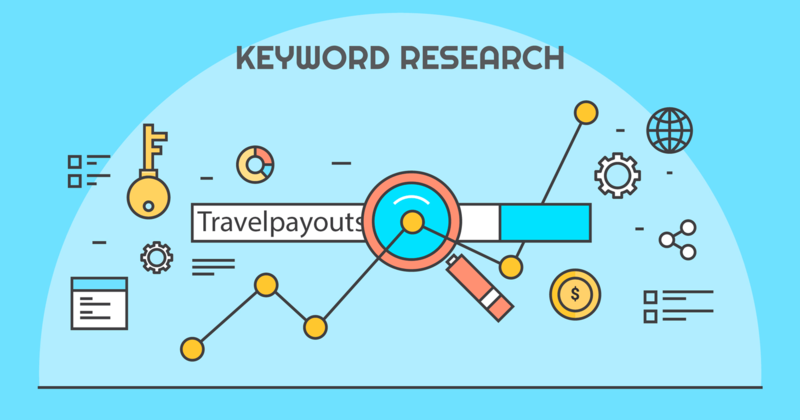 Use the previous steps to conduct keyword research separately for every Greek travel destination and you will end up with a lot of keywords; the same will happen if you do favorite places to visit. 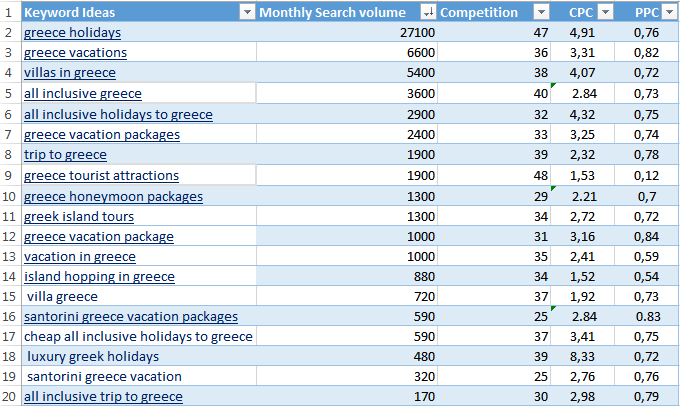 If we talk about Greece, I would do keyword research for Rhodes, Crete, Corfu, Thessaloniki, Halkidiki, Peloponnese, Delphi, Meteora, Crete and Athens. For example, I did keyword research for the mainland and found some good keywords to target. Being able to find good keywords is very important skill, but you want visitors not only to find you but to also click on your links and stay on your site longer. Always get top-quality and interesting-to-read articles, as they keep a visitor on your site longer, build trust and increase conversion rates. Use catchy titles and meta descriptions; both tags are visible to a user when he or she finds your site via Google search. Currently, meta does not play a big role in ranking, but it should encourage visitors to click on your links. Use long-tail keywords; they are easier to rank for and will give you additional traffic. Always study your main competitors; look for keywords they use and find missing information to add to your site. Always do proper onsite optimization. Internal and external linking will increase the amount of time visitors spend on your site, as well as help search engines read your blog. 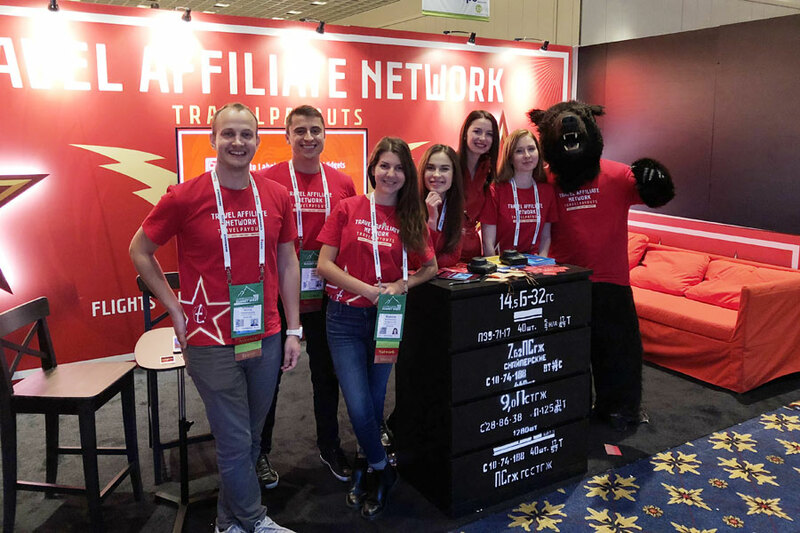 In early January, the main event on the affiliate-market: Affiliate Summit West 2018 was held in Las Vegas. The advanced experience from 2016 left no doubts for us to partake the next time, so the Travelpayouts team visited the United States again. Thanks to everyone who stopped by our stand, we are always glad to meet our partners. For those who missed the event, we are publishing a small report.